This chronograph (what posh folk call a watch) is not an official BMW product, though it is made in Germany. The orangey-brown face colour has been chosen to make you think of sand (hopefully more Dakar than Devon) and includes the shield logo of Beemer GS, a website stuffed with clothing and gifts for fans of BMW’s adventure range. 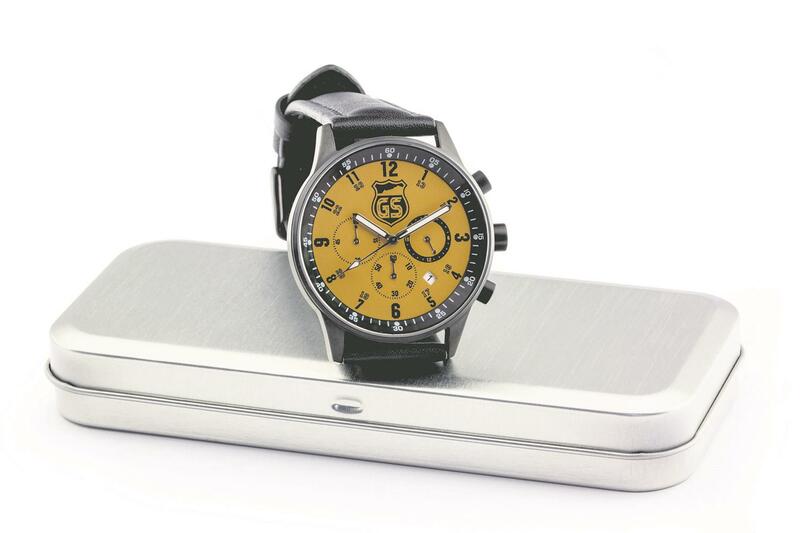 The Desert Trail claims to be water- resistant, comes in a silver box, and includes such features as an hour hand, a minute hand, and a second hand. A discrete way to carry a piece of your two-wheeled enthusiasm around with you, and cheaper than BMW's own Logo watch (£150).